Before Jeff Bargmann returned to school to pursue his MBA at the University of Michigan at age 24, he already had some work under his belt in building and selling software products. In high school he developed two products that garnered a good deal of downloads and recognition from sites such as CNET: Fences, a program that helps you organize your desktop, and ObjectDock, an animated dock for windows. Bargmann is now finishing up his last semester at the University of Michigan and working on a new venture, PhotoSocial, which he found in January 2012. Currently, Bargmann is the only member of this venture doing everything from code development to graphic design and business development. “I rely on friends, family and the fantastic Ann Arbor university network to help keep me in the right direction,” he says. Besides the support from his parents and his fiance, Bargmann says mentorship from the University of Michigan’s Center for Entrepreneurship (CFE) and its Executive Director, Doug Neal, have been tremendous in guiding him through the creation of PhotoSocial. 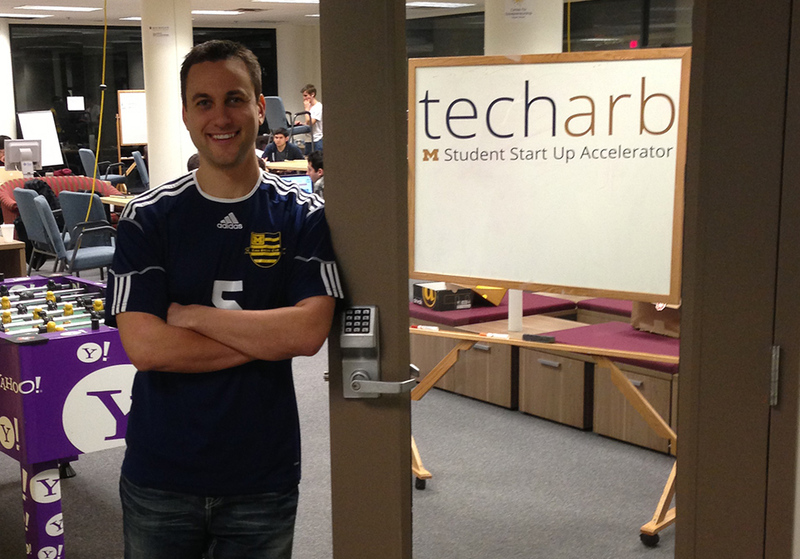 PhotoSocial was also accepted into TechArb, the University of Michigan student accelerator. This program connected them to mentors like Amy Klinke, the Director of Small Business Initiatives for the CFE and local entrepreneur, Will Stone. “Amy and Will have helped me stay organized and connected me to the right people both inside the university and out,” says Bargmann. Some big milestones PhotoSocial has reached this year include, completing an initial beta and traveling to San Francisco for a month to validate their product and meet tech influencers. They also received some recognition in November during TechCrunch’s Detroit Meetup and just launched their first release this January. Bargmann says goals for PhotoSocial this year include, continuing to build a team, taking investment in order to help strengthen their megaphone, and being prepared to quickly grow their infrastructure.